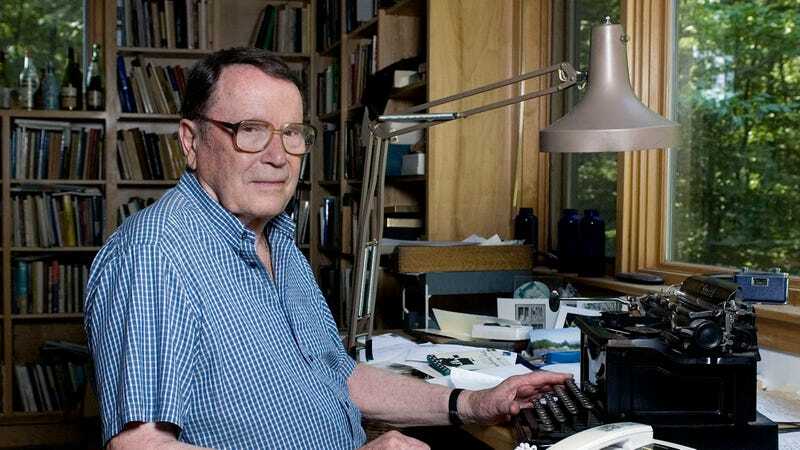 Richard Wilbur, the two-time Pulitzer Prize-winning poet, translator and lyricist known for his work’s lyrical elegance written in classical form, has died at the age of 96. Known as one of the preeminent poets of the 20th century, Wilbur’s work defied the styles of the time, maintaining a sense of traditionalism in an artistic milieu that favored a freewheeling, confessional rhapsodies. “If Ashbery invented a whole new kind of poetry, Richard Wilbur reminded us of the enduring power of tradition: that poems about the natural world and about love, written in classical, traditional rhyme and meter, would continue to matter going forward into the future,” Robert Casper, who heads the Library of Congress’s Poetry and Literature Center, told the Washington Post. Wilbur received his first Pulitzer in 1957—along with a National Book Award—for Things of This World; he won his second Pulitzer in 1988 for New and Collected Poems. In total, he produced nine volumes of poetry along with a number of children’s books, which he also illustrated. His knowledge of French literature took him to Broadway, where in 1956 he co-wrote the lyrics for Leonard Bernstein’s production of Candide with Dorothy Parker and John Latouche. His translations include works by Baudelaire, Anna Akhmatova and Joseph Brodsky. “I feel that the universe is full of glorious energy,” he said in an interview with Peter Stitt in the Paris Review, “that the energy tends to take pattern and shape, and that the ultimate character of things is comely and good.